Whether you are looking for a commercial sidewalk to help with traffic to your business, a public sidewalk or a residential walkway, Polytek Surface Coatings can help finding the most suitable application coating for your needs. 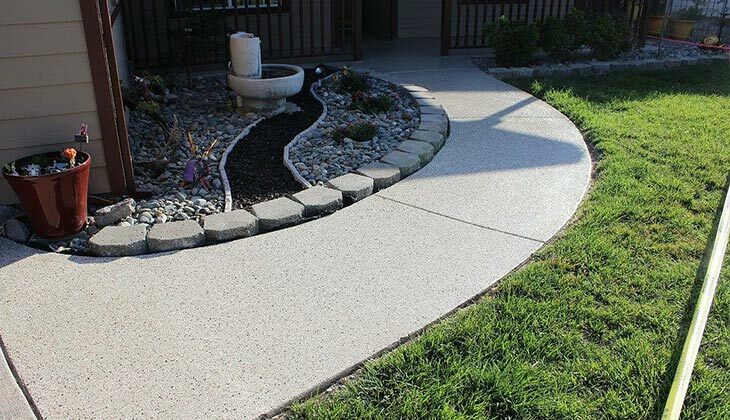 At Polytek Surface Coatings we have been providing durable and resistant concrete coatings for all types of exterior surfaces including sidewalks, walkways and entranceways for several years. When you choose to work with Polytek Surface Coatings you are choosing to work with a locally owned and operated company that comes with years of experience and credibility. A sidewalk or walkway says a lot about your home or property. A walkway will guide visitors to your front entrance or other part of your home and will keep the grass and gardens around the property from being trampled. Having a tidy walkway in place also looks neater and will add value to your property. If you are looking to repair your current sidewalk or if you are looking to add a new walkway to your home, then Polytek Surface Coatings have a number of flooring applications that are suitable for this situation. Directing potential customers and clients to your entrance is an essential part of building up your business. Furthermore, providing an entrance way that is beautifully presented and safe from cracks and chips will ensure a better look for your business. Take the time to compare different applications and colors to determine the most appropriate surface coatings for your commercial area, whether you own a warehouse, workshop, kennel, retail shop or anything else. Get in touch with us today by calling (507) 380-7655. We offer free estimates on all projects and can help customize the perfect flooring application for your budget.